Florida Hurricane Products carries many quality hurricane shutters to help you protect your home at a reasonable price. Contact us for more information regarding aluminum, galvanized steel, or Lexan hurricane shutters, roller shutters, accordian shutters, and hurricane windows. We will be happy to provide a FREE ESTIMATE. All of our products meet or exceed Florida guidelines, the most stringent in the country. We have been serving the Tampa Bay area since 1993. 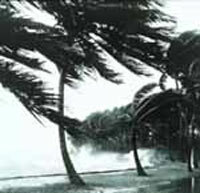 Each year, an average of ten tropical storms develop over the Atlantic Ocean, Caribbean Sea, and Gulf of Mexico. Many of these remain over the ocean and never impact the U.S. coastline. Six of these storms become hurricanes each year.